Salad burnet plant is a Mediterranean native with hardy tolerance. It is a perennial herb, which is naturalized in Europe and North America. Salad burnet herb is a member of the rose family and is used as an erosion control, salad green and used for flavoring in vinegars and sauces. There are also old cosmetic and medicinal applications for the plant. Salad burnet is easy to grow and makes a useful addition to the herb garden or perennial bed. The salad burnet herb (Sanguisorba minor) is a low 6- to 18-inch leafy plant that begins as a rosette. It has pinnate basal leaves with four to 12 pairs of leaflets. The leaflets are oval and lightly serrated at the edges. The leaves taste like cucumber and add a fresh taste to salads. 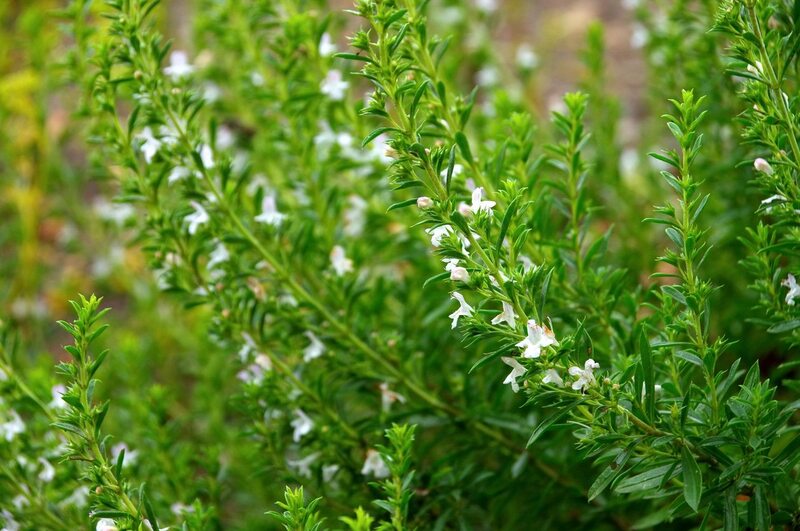 The herb is savory when mixed into an herb butter, mixed into spreading cheese, chopped and sprinkled over vegetables or as part of a potato dish. Clumps of the plant get 12 inches across and remain small with consistent harvesting. Salad burnet flowers appear in spring and are in a rounded cluster of purple to pink tiny blooms. Salad burnet flowers can be used as a garnish for fresh drinks or cakes. Salad burnet plant has male, bisexual and female flowers that appear in late spring and early summer. The top flowers are male, middle flowers bisexual and the female flowers grow on the top of the cluster. The flowering stems rise from the basal rosette and can grow to 1 foot in height. Learning how to grow salad burnet is similar to learning any herbal cultivation. It thrives in well-drained soil with a pH of 6.8 and a sunny to partially shady location. The herb starts easily from seed, which should be planted 12 inches apart. The old foliage and flowering stems need to be removed, as they appear to force new growth. The bed needs to be weeded and salad burnet should be watered during dry periods. Salad burnet does not tolerate transplanting so ensure you like the location before you plant the herb. The flowers of salad burnet herb are not self-pollinating and must be pollinated by wind. In good conditions, the plants will form seed in fall. They will self-seed easily and form a patch of the herb. Older plants should be removed because their flavor is not as good as the plant ages. New plants grow so easily that a constant supply of tender new leaves can be had by saving seed and successional sowing. Sprinkle the seed in the garden bed and cover lightly with a dusting of sand. With moderate moisture, salad burnet growing is easy and fast. Read more articles about Salad Burnet.